Select Storage, and then select Memory Unit. Find and select the game or app that you want to delete. Redownload the game or app. Browse your download history. If you want to download your game or app again, select the item and then select Download Again. Note If you want to see the charges on your Xbox Live account, see Check your Xbox Live subscription and transaction history online. If the game was installed from a disc, install the game again. If you don’t connect any external storage devices to your console, select Hard Drive. If you do use external storage, select All Devices instead. Select the profile you want to delete. Enter the Microsoft account that’s associated with your Xbox Live gamertag. If you don’t know your Microsoft email address or password, see Find your Microsoft account email address or password. If you use external storage on your console, select the device on which you want to save the profile. If you don’t use external storage, your profile will begin downloading immediately. After your profile downloads, restart the console and then try your download again. 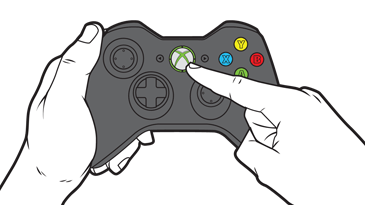 For information about how to troubleshoot your network connection, see Troubleshoot Xbox 360 connection to Xbox Live. This issue can occur if your Xbox 360 Hard Drive is corrupted or full. See Troubleshoot Xbox 360 Hard Drives. Would you like to contact Support regarding the "Error 800704CD occurs when downloading content from Xbox Live on Xbox 360" issue you were reading about or a different issue?